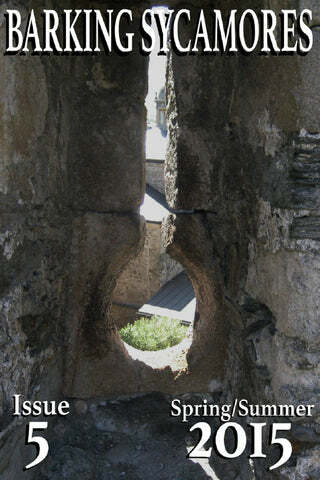 Issue 9 marks the beginning of Barking Sycamores’ third year of publication. We’re absolutely thrilled that we are able to continue this journey and thank you, our readership, for traveling with us for the last two years. We’ve grown quite a bit in that time, expanding beyond our original offerings of poetry and artwork to include short fiction, creative nonfiction, and hybrid genre work. Additionally, we’ve been able to offer our first year’s collection of issues in Barking Sycamores: Year One, in partnership with Autonomous Press/NeuroQueer Books. The beginning of this year saw another major development for our journal. Our editor-in-chief Ian Nicholson joined the Autonomous Press partnership in March as the Coordinating Editor for NeuroQueer Books. 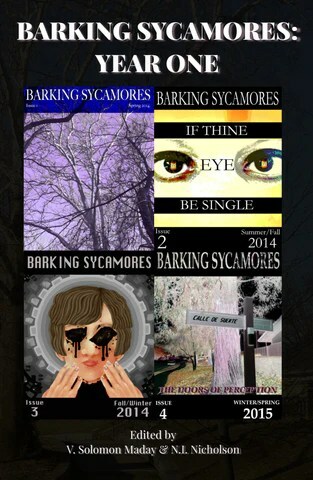 Also, Barking Sycamores is now part of the Autonomous Press family. We’re absolutely excited about the potential for growth and reach with this move, as well as joining the press in amplifying disabled, queer, and in particular neuroqueer voices. So as we begin the next leg of our journey, we offer you this unthemed issue of which we’re particularly proud. We were forced to make some difficult decisions due to the sheer number of submissions we received, but we think you’ll agree that the time we dedicated to curate and assemble this issue was worth the wait. Also, we’re really excited to include artwork by cover artist Jane Sproston. Thank you again for reading, and we look forward to another year of publishing neurodivergent literature.